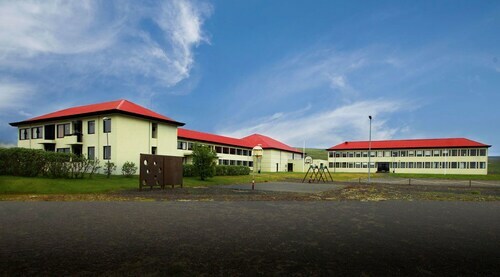 Situated in Stadur, this hotel is within 32 mi (52 km) of Icelandic Seal Center Museum, Chapel at Groef, and Kolufossar Falls. Situated in the mountains, this lodge is within 9 mi (15 km) of Icelandic Seal Center Museum, Chapel at Groef, and Kolufossar Falls. Borgarvirki and Hvitserkur are also within 25 mi (40 km). Situated in Hvammstangi, this hotel is 5.6 mi (9.1 km) from Icelandic Seal Center Museum and within 12 mi (20 km) of Chapel at Groef and Kolufossar Falls. Borgarvirki and Illugastadir seal watching are also within 25 mi (40 km). 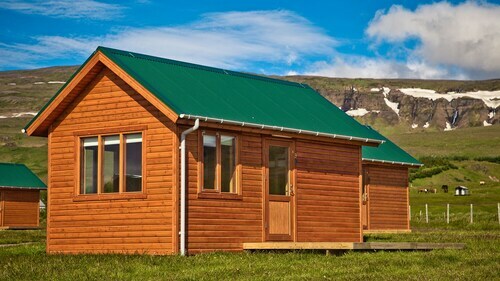 Situated in Hvammstangi, this cottage is 1 mi (1.6 km) from Icelandic Seal Center Museum and within 20 mi (32 km) of Kolufossar Falls and Illugastadir seal watching. Borgarvirki and Hvitserkur are also within 32 mi (52 km). How Much is a Hotel Room in Stadur? Hotels in Stadur start at $80 per night. Prices and availability subject to change. Additional terms may apply. Travelocity users dreaming about roaming in Stadur, are advised to pre-plan, as there's not many accommodation choices near the downtown area in Stadur. A handy option amongst just a small number of Travelocity-listed lodgings as close as a 2 miles (3 kilometers) walk from the center of Stadur, is the North Star Hotel Staðarflöt. 13 miles (22 kilometers) from the heart of Stadur is the Hotel Edda Laugarbakki. 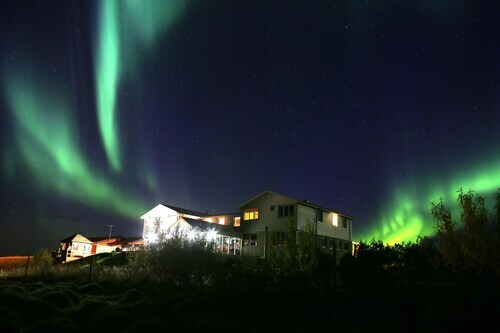 0.3 miles (0.5 kilometers) away is the North Star Hotel Staðarflöt, which is a great alternative. Blonduos is 40 miles (67 kilometers) to the northeast of Stadur and features Blonduos Church and Museum of Handicrafts. The Hótel Blönduós and Glaðheimar Cottages are a few of the great hotel and apartment options in Blonduos. Or, stay the night in Saudarkrokur, 60 miles (94 kilometers) northeast of Stadur, where you can choose between the Hotel Tindastóll and Hotel Mikligardur. If you're staying in Saudarkrokur, make sure you venture to the Saudarkrokur Heritage Museum and Tannery Visitor Centre. Keflavik International Airport is situated 90 miles (148 kilometers) from Stadur's heart. 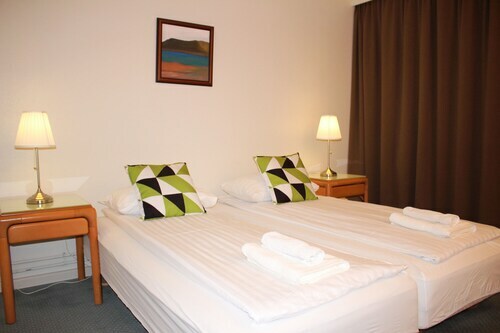 Wise visitors who wish to find a hotel nearby can easily book a good option in the Airport Hotel Aurora Star or Bed and Breakfast Keflavík Airport. Clean hotel, nice (and very hard working) staff, delicious food in the restaurant. However, they really need to do something about the lighting in the rooms. It's so dim you can hardly see anything. But maybe it's because the bathroom doors are glass and who wants to see someone in the bathroom! Our door lock was not working properly so sometimes it took us 10 minutes to get into the room. Cute place but needs some work.